There have been immense developments in the field of Assurance Audits which have further been accented by the introduction of international legislations like the Sarbanes Oxely Act, Indian accounting standards, International Financial Reporting Standards. The scope of audit has never been wider. Various statutes now require Auditors to play a greater and more active role in an organisation. We at D N V understand the needs of our client’s business and focus on core risk areas. Our identity lies in our in-depth knowledge of statutory requirements and high standards of ethics and independence. 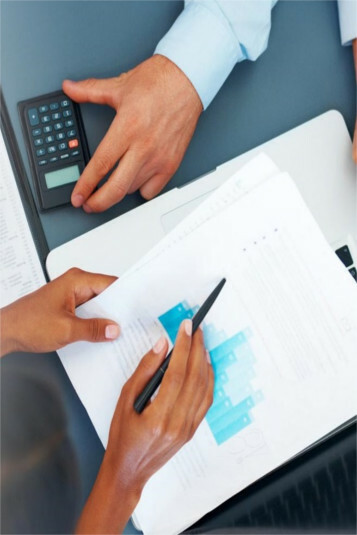 Our audit teams have considerable experience and specialized knowledge of the different market sectors along with the requisite awareness of the latest developments, which may affect the organization. Being emphasis on stricter statutory compliances and disclosure requirements by the government and other regulatory bodies, this area of service requires specialized knowledge sector wise with respect to compliances under various statutory laws. Providing Guidance and ensuring compliances of statutory provisions. D N V specializes in risk based Internal and Operational Audits of Corporates engaged in various sectors. At D N V, we follow both co-sourced (partnering with the existing Internal Audit departments) and out-sourced models for internal audits. The main thrust of these assignments is towards improved competitive strength through a positive and independent appraisal of risks, business processes and internal controls. Our team bring to these assignments insights and knowledge of best practices gained from our experience of working with various clienteles. Identification and evaluation of key business and process risks. Listing of mitigating internal controls against each risk. Testing of Internal controls for effectiveness using ‘walk-thru’ tests. Recommendation for improvements in internal controls, business processes and financial reporting. Review for compliance with corporate policies and regulatory environment. Review of effectiveness of managerial supervision. Review of System encompassing review of physical, financial and access controls, adequacy of back-up procedures implemented by organizations, stress testing of systems etc. For our risk based internal audits, we use state of the art data analytic tools and specially designed control rating indices for evaluating and benchmarking corporate governance processes and overall control environment. In today’s dynamic business environment, for any business organization, one of the most important challenges is to ensure compliance of various laws and considering the fact that the law has become more complex in recent years as a result of many reforms, amendments and notifications, it is of utmost importance for every organization to comply with various laws so as to ensure better corporate governance and meet with the requirements of vigilant government authorities. D N V team has extensive experience across industry and service verticals and has competency for handling various compliance review matters. Assisting in preparing Compliance Manual for various Indian laws as mentioned above. Compliance with the revised clause 49 of the listing agreement including Audit Committee requirements. Use of control rating indices for evaluating and benchmarking corporate governance process and overall internal control environment. Preparation of Business Code of Conduct. Mapping, review & testing of internal controls and processes for purposes of supporting CEO / CFO certifications (including preparation of relevant documentation). Damania & Varaiya (D N V) is a multi service professional organization dedicated to provide a wide range of professional services to its clients across diverse industries. 14/2, Mahalaxmi Ind. Estate, D. Shivner Road, Lower Parel, Mumbai : 400 013, India. Copyrights 2015. All rights reserved Damania & Varaiya.